Aluminum Wheel and Tire Cleaner Kit includes Lane's Black & White Tire Cleaner, a heavy duty bleach tire, white wall cleaner that attacks dirt and grime on the tire. 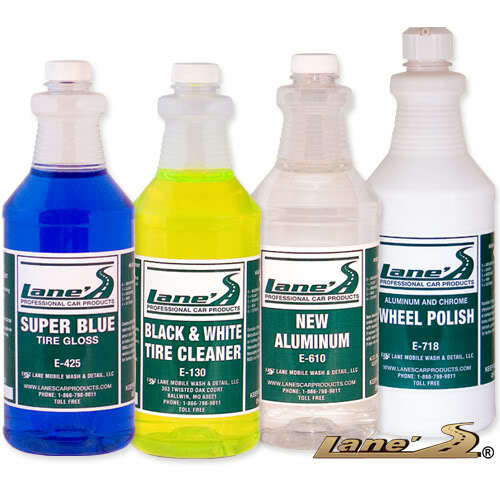 Lane's New Aluminum, the strongest aluminum wheel cleaner on the professional market today, is a strong acidic wheel cleaner for cleaning aluminum wheels instantly upon application. New Aluminum wheel cleaner is guaranteed to save you time and clean your aluminum wheels.